We are excited to announce that Azuqua won a Gold Stevie award this year as the leader in integration solutions in the American Business Awards! 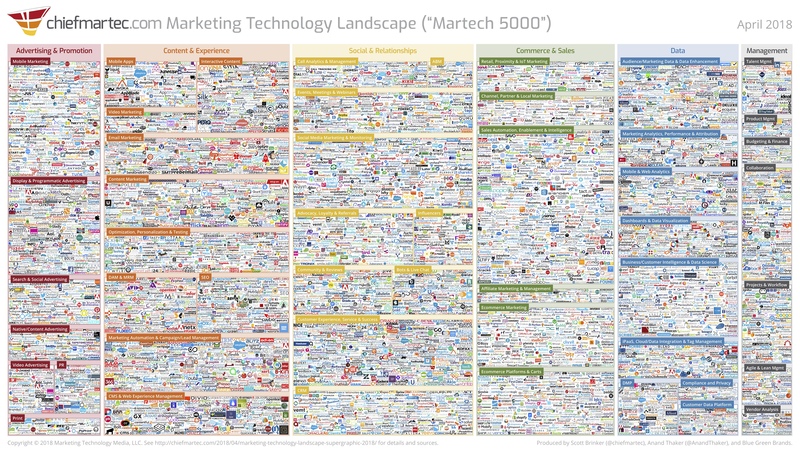 Believe it or not, there are over 5000 SaaS products in the Martech space alone. This makes integration a pressing need with the massive amounts of data and process that flow across the modern organization. Grab your reading glasses (or a magnifying glass), because the marketplace is packed. It’s great to be recognized as a leader in the integration space. On one hand, we work hard to stay up-to-date on the leading SaaS providers and the use cases that are driving today’s business teams. On the other hand, there are thousands of applications to account for and expontentially more scenarios to cover! Needless to say, we have a lot of work ahead of us, but we are excited and appreciative to be recognized with a Gold Stevie and to be able to help teams eliminate manual work so they can focus on the important stuff. Interested in solving your use case with an award winning integration platform? Let’s chat! Contact us today to learn how we can help you integrate your SaaS applications and improve the way your team gets work done.